Something I realized early on, probably around age 9-10 or so, was that I was always the odd one out. This wasn't due to having a 6 foot tall plus Wizard for a dad. This was because what I was doing and my positive attitude towards it was unusual in those days. In the mid 90s, at least where I lived, it was pretty weird for young girls to ride singletrack. On top of that, I didn't have a pink butterfly adorned bike. I had a holographic Gary Fisher with all black accents, and later, a 1x1 Rat Ride. "Wouldn't you rather be inside? It's dirty out here." "Why do you like doing this?" 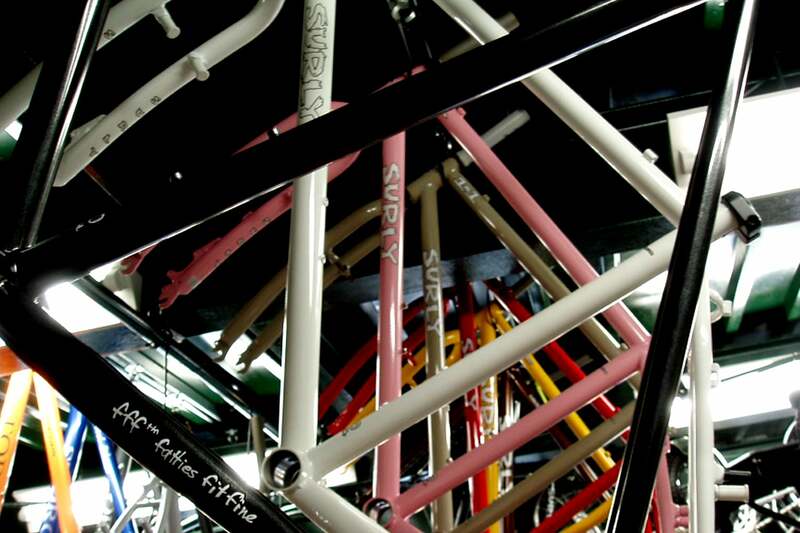 And of course my personal favorite: "That's a BOY'S bike. Not a GIRL'S bike. Don't you want this purple one with the basket? See how cute it is." Courtesy of a bike shop. By about age 12 I had both hit the beginning of an extended sulky goth phase and had fully managed to fully discourage myself from doing something I loved, getting dirty on my bike on the trail. In general, I had grown tired of the negative attitude in all the sports I had grown to enjoy. I dabbled in figure skating for a while and was told I needed to go on a diet. I joined a softball team and was told I wasn't any good and should just stop. How's that for fully demotivating? It is mildly embarrasing to admit this, but it wasn't until my early 20s that I got back on my bike on a daily basis, which is when I started to learn that the freedom a bicycle offers is yours. No one else's. You can go where you want when you want, decide how you want your rig to look, dress however you want, and maybe even make some friends along the way. Of course, if it were as simple as riding your bike every day to achieve total harmony and peace of mind, I wouldn't be sitting here writing this blog. I was regularly told once I started commuting on my new Cross-Check that I needed more technical gear, more practice, and more money to fuel my hobby - and don't even think of taking that thing on a trail. After a few years of riding on good old paved city roads, I started to wonder why I was only doing that, and only that. Why was I taking the same two routes through the city I lived in? Why didn't I go somewhere else? Why didn't I try some different types of riding? I was getting bored, not to mention frustrated, with people telling me I needed to do things a certain way. I could live like I was 13 forever and lock myself in my room with no sunlight or I could make up for lost time and try something different. This is how I tried what we would call ye olde "fat bike" for the first time on a trail. I was hooked once again. Now, this isn't to say I woke up one day and had some kind of magical lady shredder jumping a full sus bike off a mountain video level epiphany. I have messed myself up more than once and had some crashes that I'm glad nobody got secret footage of for the Internet. 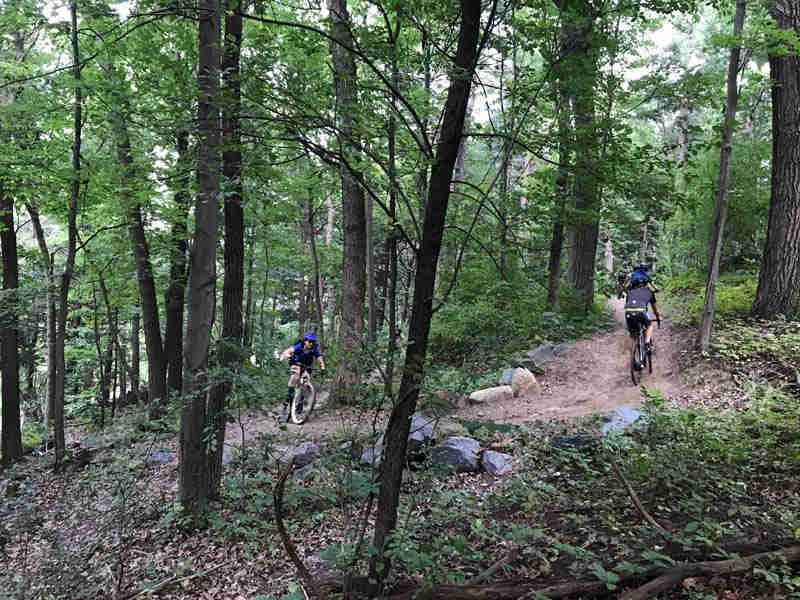 What is important to know is that my path was long and lonely getting back into mountain biking as an adult, and I realized that I didn't want it to be that way for other folks like me. This idea hung out in the back of my mind for a while until I got to know a pretty cool person that got hired into our brand named Amy. We forged a unique and rant-filled friendship, as one might imagine two women working in a dude-heavy industry (and for the same brand, no less!) might. 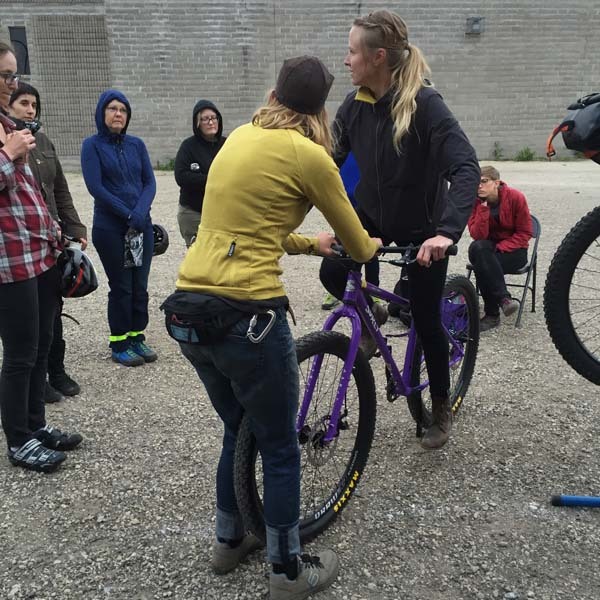 As it turned out, Amy has a background in teaching mountain biking skills clinics - for women/trans/femme/nonbinary people. 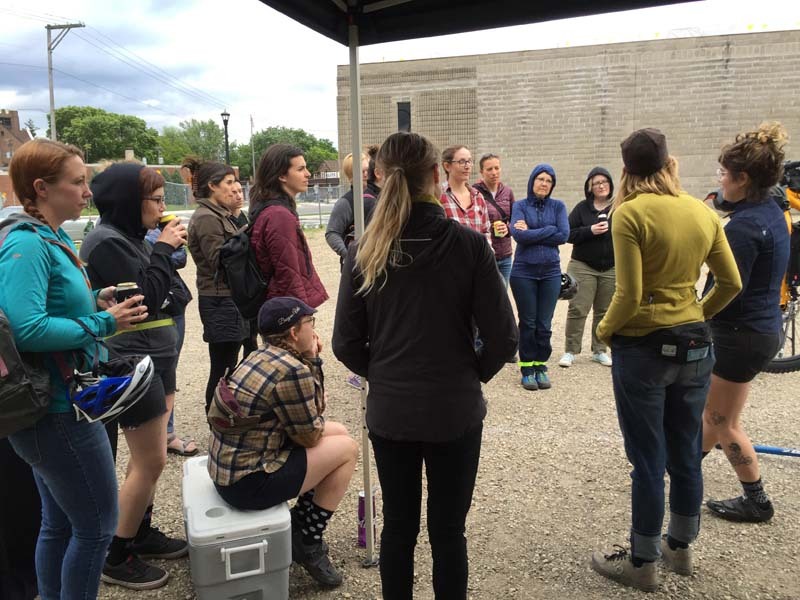 Together we wondered: how could we get out into the world, provide some bikes for people to ride, and do everything we could to create a positive and supportive space for new riders? We had both had more than a handful of questionable experiences with macho trail moments, so we decided to make whatever events we did focused on and comfortable for folks that don't normally get opportunities to ride bikes and ask questions without judgment. 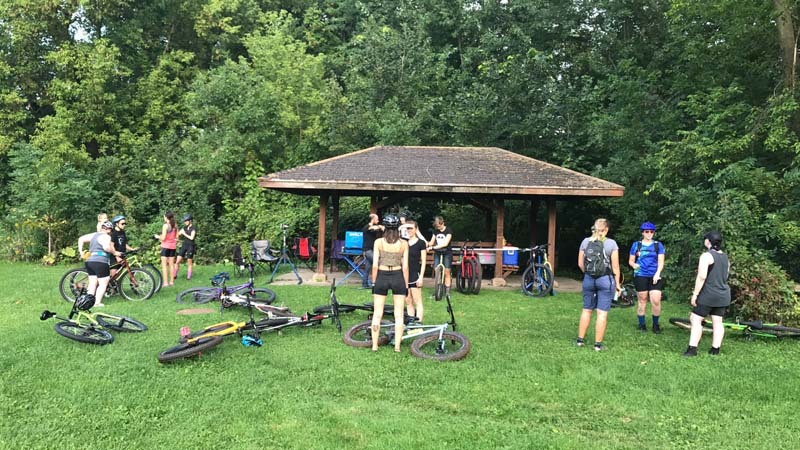 We are both based out of the Twin Cities and our local shop The Hub Bicycle Co-Op seemed like a natural fit for this type of gathering. Thus the WTF* MTB night was born. Here in Minneapolis, autumn is upon us, and it's time for me to take some days away from my desk to do some riding of my own before the snow falls. We'll almost certainly be doing more MTB nights next calendar year. I kind of can't imagine life without them now, but when I do, I think back to a time when there weren't resources and opportunities like this for me and others. I don't want to go back to that time. What I want to leave you with is this: you can do whatever you want on your bike, and if you feel so inclined and have the bandwidth, I truly believe that many folks can help create space for others to do the same. -If you have access to resources that you can share to support others, USE THEM. 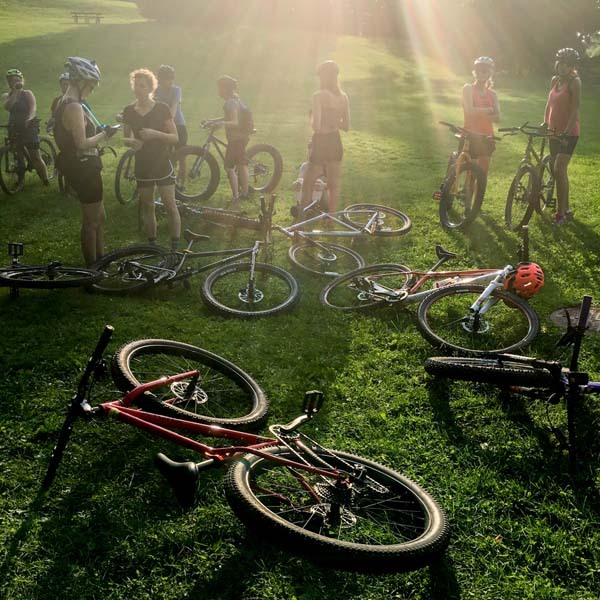 Create an afternoon or evening of riding for people that might not otherwise have the chance to get out and do something fun. -Challenge yourself to get new riders out there with you. I am often reminded these days that we all had to start somewhere. That includes folks that work for a brand and run demos for you. -Ask those around you how you can support them getting on bikes and having a good time (especially women/trans/femme/nonbinary people). Create space for them to be safe. ASK what that looks like - don't make assumptions. -Collaborate! We couldn't do what we do without shops such as the Hub. Plus, there is always power in numbers (and I'm not very good at grilling food). Special thanks to the Hub staff, Chelsea Strate, Amy Kippley, and my most awesome Surly coworkers for their support with these events (especially Trevor, who was compensated in Truly sparkling adult beverage for his wrench time). Also, thank you to my family to always supporting me in a world of naysayers... and buying me my first Surly. Kate is one of the people who answers phones and emails around here, as well as some other sales-related stuff. 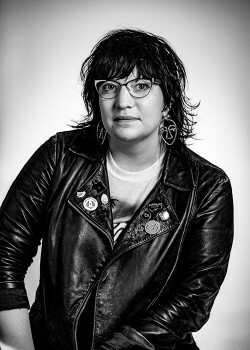 Kate happens to be the daughter of our hippie lawyer, who long ago was part of the crew that birthed Surly, so she has literally grown up with Surly. 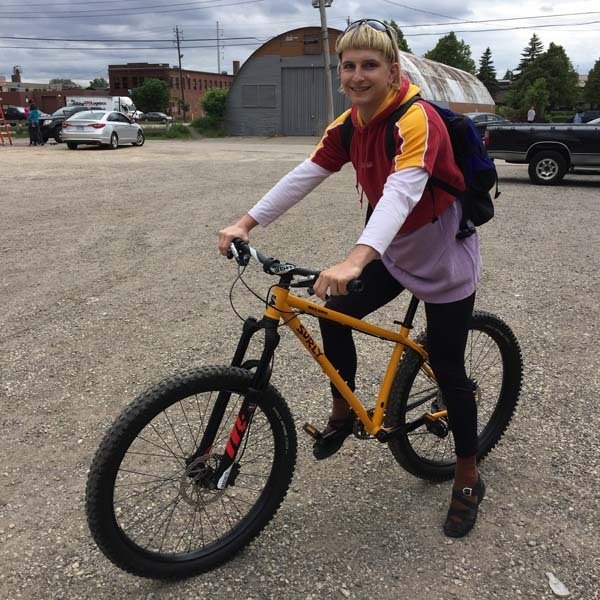 Kate has held a number of other jobs in the so-called bicycle industry and rides her bike to work almost every day, and taken all together that background means she’s been on and around bikes pretty much her entire life. Not bad.